These exclusive member benefits are automatically included in your course enrollment, plus special invitations for leading edge training shared only with our community! 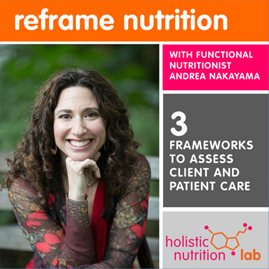 Reframe Nutrition is a practitioner training, led by Functional Nutritionist Andrea Nakayama, that provides you with the SIGNATURE SYSTEM for achieving major breakthroughs with your clients. 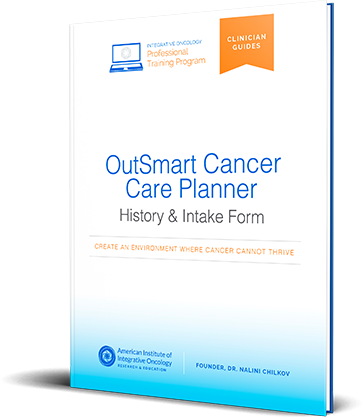 Reframe Nutrition teaches you how to start using the #1 tool that the top Functional Medicine doctors use for mapping real patient cases, so that you can better see results and more easily become the hero on your client’s healthcare team — finding answers that most other practitioners have not. With your discounted yearly membership, you will gain access to a full range of original, peer-reviewed and evidence-informed content only available on TAP. 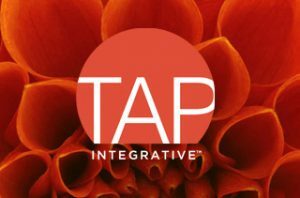 Join TAP Integrative to discover new ways to improve the lives of your patients and to build your clinical practice.